Welcome winged wildlife into your garden with this stunning antiquarian design. 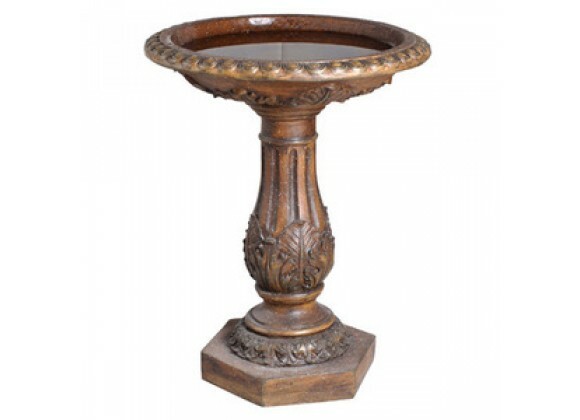 Its overall splendor is enhanced by the lovely ornamentation on both rim and pedestal. Enhanced by the lovely ornamentation on both rim and pedestal.